The Legacy Mark Cemetery Office Management (COM) module is the cornerstone of the Legacy Mark Cemetery Office Suite. 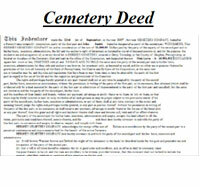 It is the business package that is designed to manage the demanding needs of every cemetery manager. Since it first went into service in 1987 we have worked with our growing customer base to refine its operation and expand its capabilities to better serve the them. With features such as scan & document attachment, Exclusive CemWeb access, lot maps, spreadsheet exports, deeds, inventory, locator tools, scheduler, interactive calendar, Windows word processor & endowment handling there is nothing our Office Management system cannot handle. Supports Single Workstation and Multi-user Network installations, with integrated security password system and administrator-defined permissions (Full-Use, Guest-Access, etc…). Integrated Context-Sensitive Help system. Specific help is available for your active screen with the touch of a button and pop-up Info boxes appear with the mouse pointer to explain your current selection. Single Point of Entry: Enter data in one place, update entire the system. Uses Industry Standard language throughout the program to acclimate new users quickly. ODBC Compliant: access data from other programs. 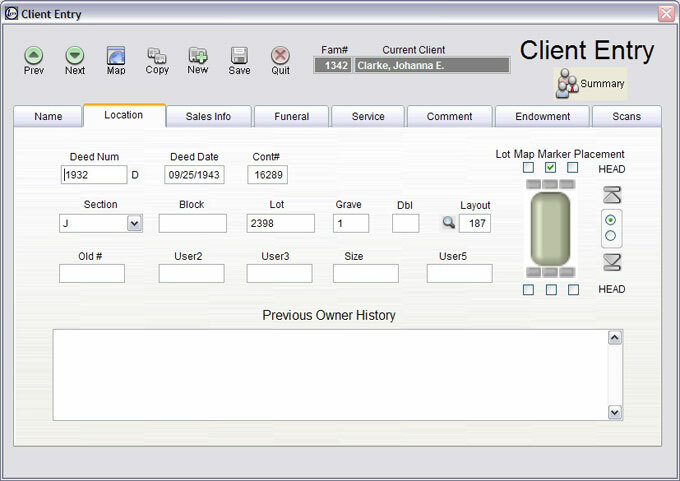 Tracks client, grave, sales data, funeral, military and endowment data and documents/scans for each client. 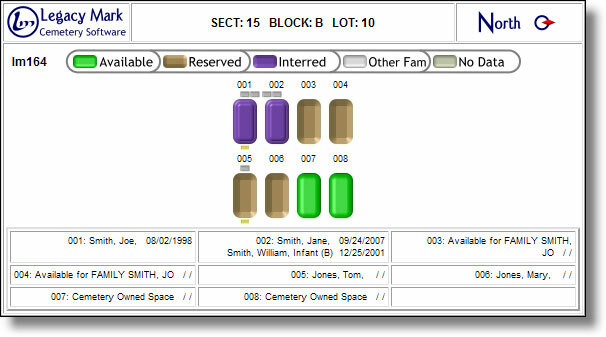 Lot Maps generate and print graphical layouts (shown at right) designating color-coded grave/marker arrangements, orientation and an interment chart with names/w dates. 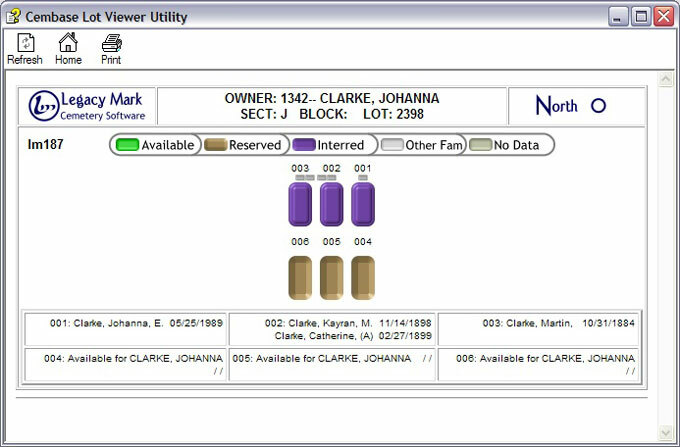 Manage Inventory: Quickly generate inventory (singles, fill-ins, new sections) and the system does the rest. Pull-Down Pick Lists that are easy to use and easy to maintain for rapid, error-free data entry. 30+ User Defined Fields: Customize the forms and data making your database configurable to your needs. Deeds/Forms Create professional, customized deeds for each sale. 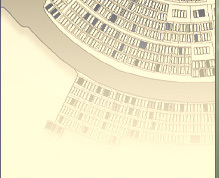 Data is automatically inserted into the deed form which can then be checked, edited and saved before printing. Scores of Report Menu Selections create custom reports based on user-specified parameters. Integrates with Legacy Mark's CemMap© Cemetery Mapping and AR systems. Endowment System for special-care trusts and tasks for clients.